Our aim is to resolve your issue on our first call and that is why we ensure all our vans are fully stocked with products ranging from switches and sockets to light bulbs and circuit breakers. Our store room is also fully stocked up and all our technicians have 24/7 access, so if on the rare occasion we do attended an emergency and do not have the parts on the van we will have them in the stores. All prices are subject to VAT and prices are dependant on time of call and location from office. Very cooperative and good job. The work involved rewiring of a defective circuit at Ewell United Reformed Church. Came quickly to assess requirement, executed work speedily, and at agreed cost. All very satisfactory and will use them again. Very pleased, would recommend him, great job. Liam attended promptly to investigate the cause of RCD trips, and worked methodically to rule out causes, fixing several wiring issues along the way. Returned quickly when the problem recurred, gave sound advice and is now resolved. Punctual, a pleasure to deal with, knowledgeable and left everything very tidy. Would absolutely recommend. Our downstairs lighting circuit had blown and there were sparking coming from the fuse box. Liam arrived promptly, fixed the problem, installed a new switch and light fixture and cleaned up after himself. Definitely recommend. I had a problem with the oven in a flat a I rent out, I called Liam late one evening and he attended the next day. The problem was with the oven, not the electrics but after a discussion with Liam I decided to install a new one. Liam gave me sound advice on this. As I have tenants at the location, Liam offered that I could have oven delivered to him before installation. In the end, I had the oven delivered to the flat, Liam attended, fitted it and then sent on all the paperwork. I am very happy with Liam's work and, on my experience, would have no doubts in recommending him to others. 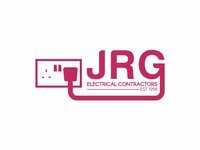 Excellent level of service from a highly competent friendly electrician. Installation of new consumer unit and house wiring inspection. Good service and tidy. Cost as agreed. Would recommend and use again. Liam was professional and stood out as the person who could answer every question. I will use him again, I am very happy and would recommend him. Liam was straightforward and honest throughout the whole process. He gave the most competitive quote and provided a great service too. He was one of the few tradesmen that allowed me to provide my own consumer unit and materials in order to keep costs down and even confirmed that the parts were all up to date with the current standards before I purchased them. Liam went the extra mile wherever he could and did the job plus some extra work for no extra charge and within the original budget. I really had a great experience with Liam and would definitely use him again!